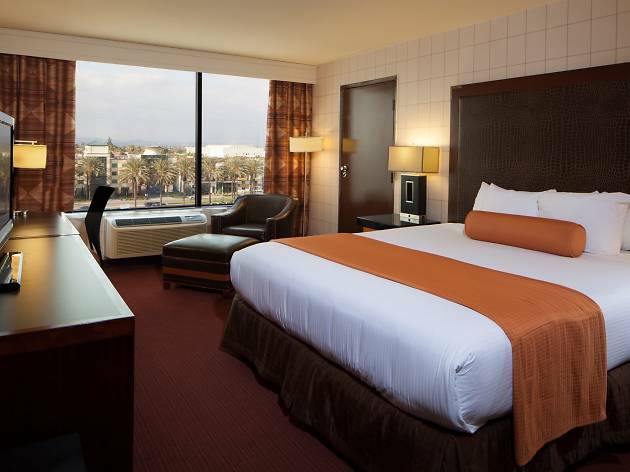 A short walk from the Disneyland theme parks, the casual, yet modern hotel is perfect for both families and business travelers. 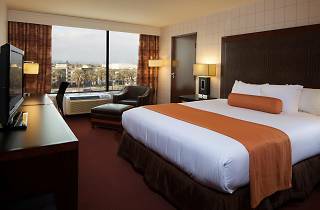 Equipped with 308 guest rooms, the Red Lion hotel also features free Wi-Fi, an outdoor pool with fire pits, a fitness area, a business center, and a newly renovated restaurant offering American-style comfort food. Plus, you can head to the on-site "Disney Desk"in the lobby to book everything from park tickets to restaurant reservations.